Few people realize that Canada, America’s low-profile neighbor to the north, is one of the largest and most economically developed nations in the world. Canada occupies about 41 percent of all the area in North America, and is larger than Europe, the United States and China. In fact, Russia is the only country that is larger than Canada in terms of size. Canada is bordered on the east by the Atlantic Ocean, to the north by the Arctic Ocean and to the west by the Pacific Ocean. Despite its massive size, Canada is one of the most sparsely populated countries in the world. In 2012, the country had a population of about 35 million people, or just about 3.5 people per square kilometer. A vast majority of that population is concentrated along Canada’s southern border with the United States. Canada is both a parliamentary democracy and a constitutional monarchy. Though the country is governed as a democracy, its head of state is the Queen of England. Canada boasts of one of the highest standards of living in the world. The country has the ninth highest per capita income in the world, and consistently ranks among the top countries in areas such as education, healthcare, economy, law and order and government transparency. Canada is composed of 10 provinces and three separate territorial areas. Canada’s capital city is Ottawa, though its largest city is Toronto, situated in the province of Ontario. Other major cities in the country include Montreal, Halifax, Winnipeg and Saskatoon. Canada’s economy is primarily driven by the service industry, though the country is also a huge player in the petroleum and logging industries as well. Canada international shipping companies help transport cars and other vehicles between the United States and Canada. Many of the companies that provide international shipping to Canada offer door-to-door service from any location in the U.S. to any destination in Canada. Most cars are transported via road or by rail between the United States and Canada. Customers can also have their vehicle shipped by sea between the two countries, though this is an option that is most often used only by those living along the east and west coasts of both countries. Auto transporters give customers the option of using either an open truck or an enclosed truck for shipping to Canada. The same two options are available for those looking to transport cars by rail between the two countries. The cost to ship a car between the two countries depends entirely on the distance between the pickup location and destination, and, also, the mode of transportation that is used. Costs can range anywhere from $500 to over $2,000, excluding sales taxes and other related costs. Shipping a car to Canada from the United States is a fairly straightforward process. Any car manufactured in the United States that is 15 years or older can be imported into Canada without any duties, and without having to be registered with Canada’s Registrar of Imported Vehicles (RIV) program. Cars that are less than 15 years old need to be registered with the RIV, and must pass a battery of Canadian safety and emissions control standards. Canada also charges a goods and services tax, and a harmonized sales tax based on the assessed value of the vehicle that is being imported into the country. 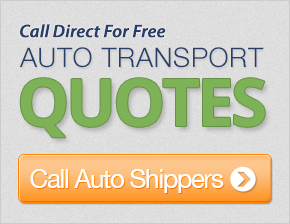 Shipping a car from Canada to the United States is also similarly straightforward. The U.S. has few restrictions on cars being imported from Canada so long as the vehicle passes U.S. quality, safety and emissions standards. Citizens of either country can freely import vehicles on a temporary basis, so long as they export the vehicle upon their exit.